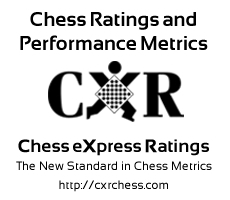 Player ID: 61-C, United States Chess League, U.S.A. This meter shows where Hikaru Nakamura is in relation to the entire range of chess players. New students of chess will appear toward the left side, and will move rightward as they progress. Very strong players will be closer the the right side. This meter indicates Hikaru Nakamura's current forward momentum. Green zone indicates that current performance exceeds all past levels. Blue zone indicates current performance is near peak level achieved. Yellow zone indicates current performance slipping below player's potential. Red zone may indicate a serious slump in performance requiring remedial action.